The LH(luteinizing hormone) which is in the urine of normal woman will increase dramatically in the middle of the menstrual cycle. The LH increase triggers ovulation which is when the egg is released periodically from normal fertile woman. Ovulation will occur after 24-48 hours following a positive test. 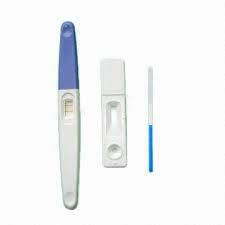 Thistest is a rapid qualitative immunochromatographic assay to predict when there is a LH surge, and in turn, when you are likely to ovulate. The test unitizes the double antibody sandwich method. It’s easy to use and read with high accuracy and speed. Why to choose Bi-Trumed LH (Ovulation) Rapid test?